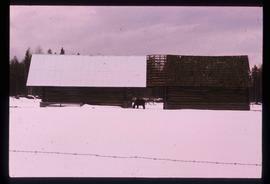 Image depicts a horse and a barn in Dome Creek, B.C. 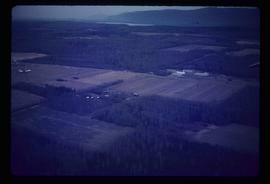 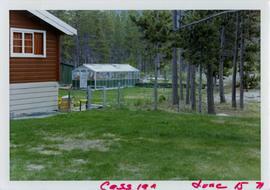 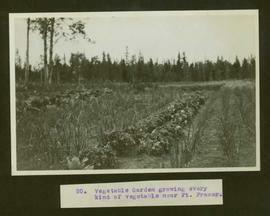 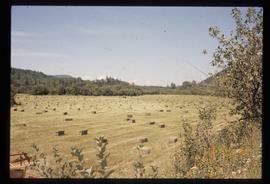 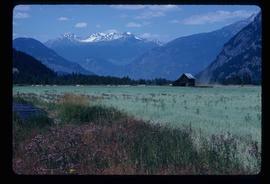 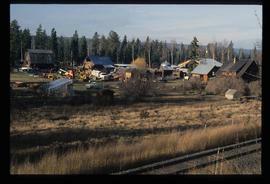 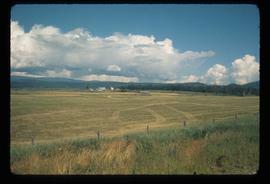 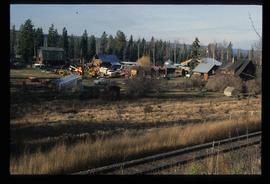 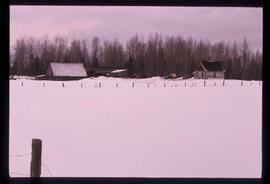 Image depicts a small farm located in Dome Creek, B.C. 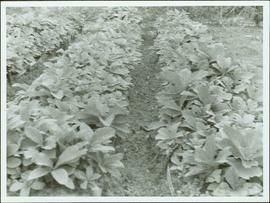 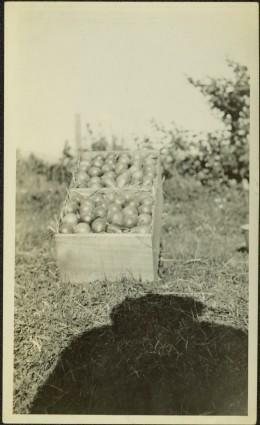 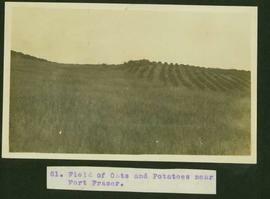 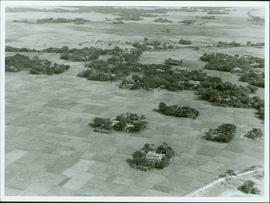 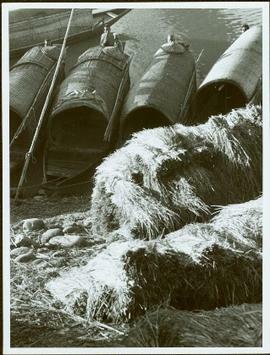 Image depicts a farm at an unknown location. 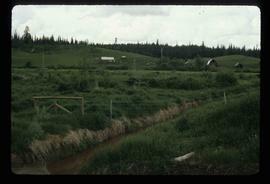 Image depicts a farm at an uncertain location; possibly somewhere in the McGregor Valley. 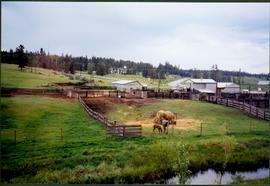 Photograph depicts two horses in one of many fenced areas, buildings and machinery in background. 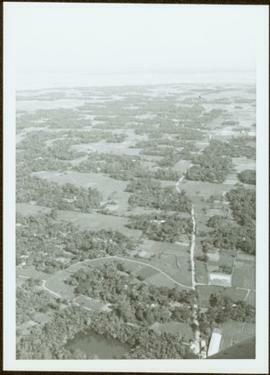 Highway, house, and forest also visible in distance. 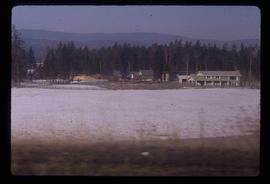 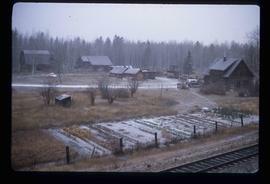 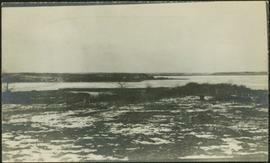 Photograph depicts snowy area speculated to be a farm yard in foreground. 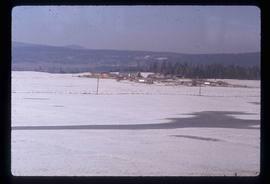 Frozen water crosses midground, opposite shore in distance. 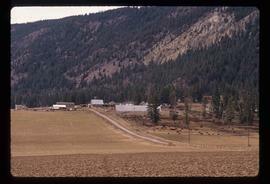 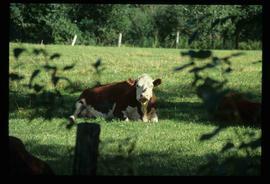 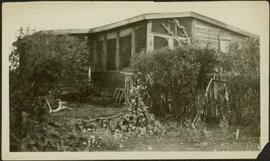 Image depicts what appears to be a farm at an uncertain location. 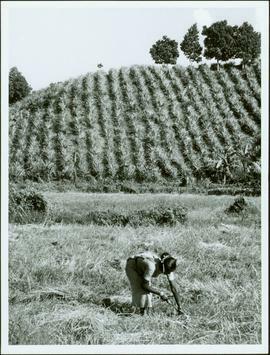 Image depicts a farm on a hill at an uncertain location. 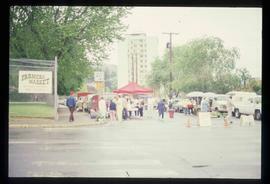 Image depicts a street, possibly in Kamloops, which has been closed for a Sunday morning Farmer's Market. 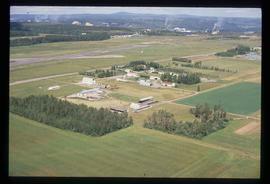 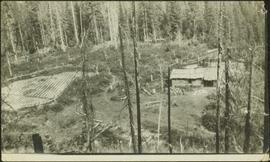 Photograph depicts farmstead in cleared area of forest. 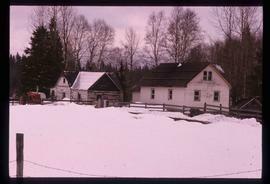 Plowed and fenced area on left, buildings and firewood on right. 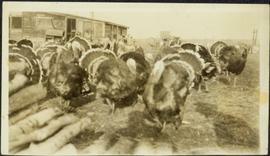 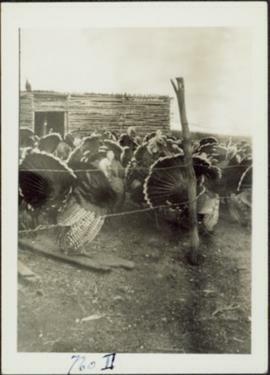 Turkeys in foreground, shed in background. 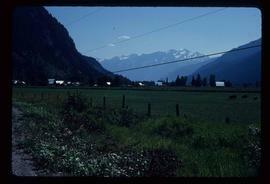 Barbed wire fence in foreground, shed in background. 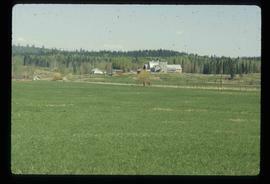 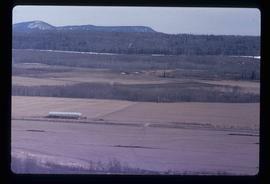 Footage of deer fawns eating grass and apples, and landscape shots of mountains and cornfields.Possible areas of filming include the Atnarko or Chilcotin regions. 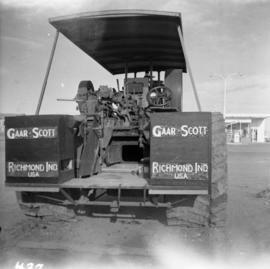 Photograph depicts the rear view of the Gaar Scott traction engine parked at Texcoc Station in Nanton, Alberta. 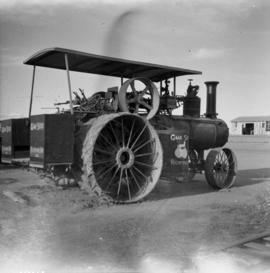 The rear wheels have a 2'9" tread. 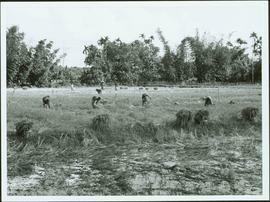 It was used on farms for haulage, threshing, chaff cutting etc., but not plowing. 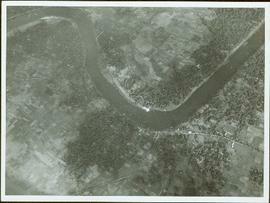 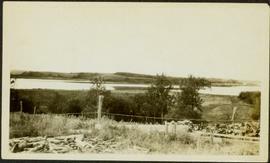 Photograph depicts a river or lake, and opposite shore in background. 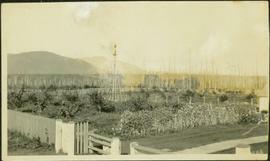 A garden can be seen behind fence in foreground.